There are few battle cries that shake enemies to their core more than the fabled shouts of one impatient dwarf. Despite his party's well planned and thoroughly calculated attempt at a high-level raid in World of Warcraft, the stout hero ignored all reason and charged into battle with his namesake echoing through the caverns. 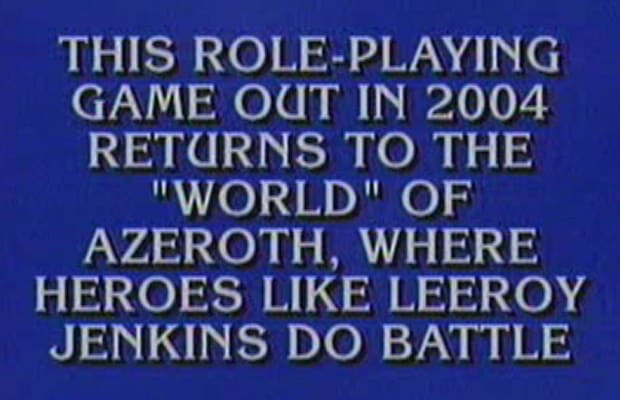 The video of the events became so popular it crossed over into the mainstream with Leeroy Jenkins earning his own card in the World of Warcraft TCG, and being featured on an episode of Jeopardy.